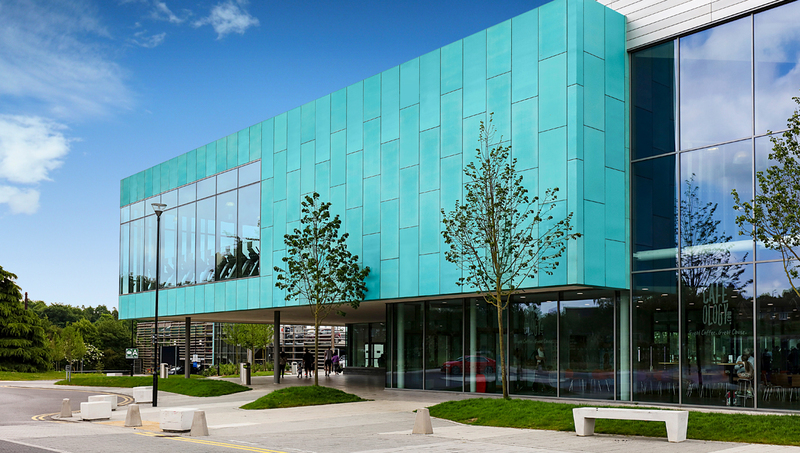 A modern yet sympathetic design are the hallmarks of the £25m new High Wycombe Leisure Centre featuring a Proteus copper clad entrance pod. Skilful design by Space & Place Architects has avoided the large hill-top building imposing itself in a part of High Wycombe that contains areas of outstanding natural beauty. 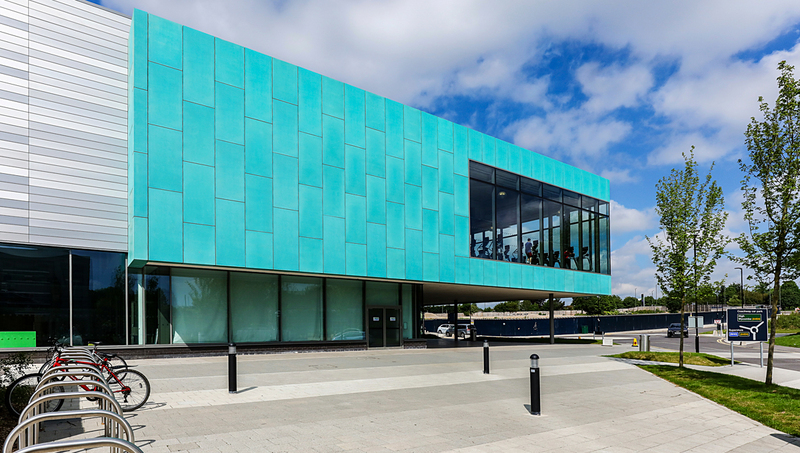 High Wycombe Leisure Centre is clad mainly in aluminium, with Proteus HR TECU Patina used to create a striking Verdigris green copper clad entrance pod that projects outwards from the main building and overhangs the reception foyer. 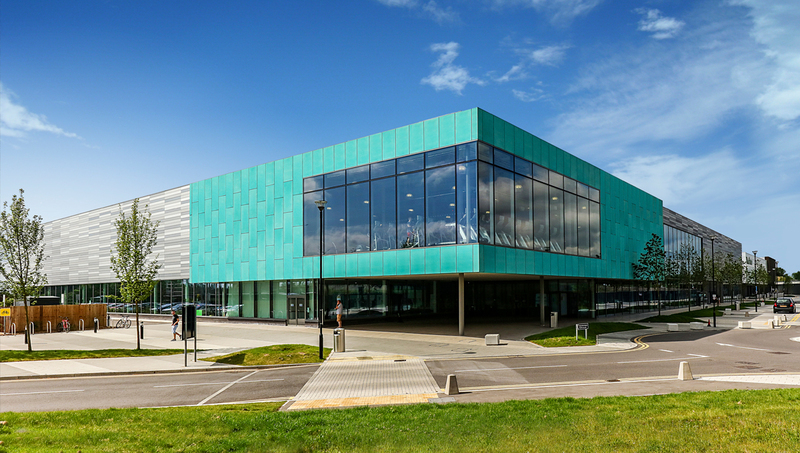 A combination of skilful design and careful choice of façade material overcame the main challenge on this project, which is common to all sports centre buildings; that of minimising the visual impact of what are large square box-like structures. At 10,750 m², including an 8 lane 50m swimming pool, 12 court sports hall, health suite, 150 station fitness suite, squash courts and bowls hall, the building had the potential to overly dominate its surroundings. Avoiding this was helped by choosing copper cladding fixed to lightweight composite panels which enabled Space & Place Architects to minimise weight loadings on the overhanging entrance pod, accentuating the ‘floating’, gravity defying aesthetic. Supporting by only two slender steel pillars, the TECU Patina copper clad pod appears to hover over the main building like an otherworldly, organic apparition. 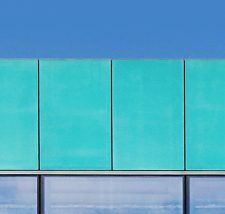 The rectangular TECU Patina panels are fixed in a vertical arrangement to create an eye-catching contrast to the thin, elongated, horizontal aluminium panels of the main façade. This mix of materials, panel design and colours compartmentalise the building, again minimising its visual impact on the landscape. TECU Patina from Proteus offers the beautiful natural Verdigris green appearance of aged copper from the outset, and which would otherwise build up over the years through the natural oxidation process. This innovative cladding material bypasses the gradual development of the earthy tones through natural weathering. 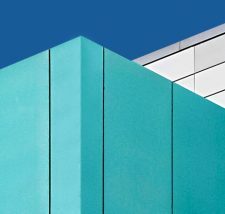 Proteus HR, which has a honeycomb core, is an integrated modular rainscreen cladding system that offers a flat façade with recessed joints. It is available in steel, aluminium, zinc, stainless steel, copper alloys and other materials. The honeycomb core on Proteus HR minimises material use, whilst still retaining an optically flat panel, meaning it is a practical solution on a wider range of projects. 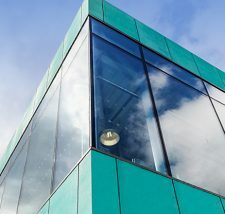 The Proteus HR TECU Patina cladding was fixed to lightweight Paroc composite panels with fire resistant stone-wool cores by MIZ Consultancy Ltd. The combination of insulated composite panel to form the inner leaf of the overhanging pod and visually striking copper clad outer enabled the architects to realise their vision for a ‘floating’ entrance feature. Proteus worked closely with the glazing partner on this project to ensure that the large glass panels integrated seamlessly with the copper cladding, accentuating the sheer smooth aesthetic of the entrance façade. 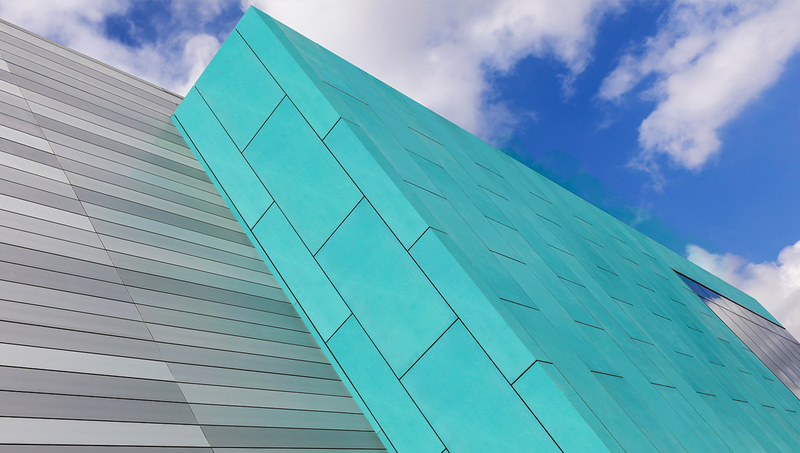 Copper is one of the most versatile, attractive and adaptable architectural cladding materials available, providing consistent performance and a high level of aesthetic appeal. Advances in the oxidation process means that Proteus us now able to offer a wider diversity of green Verdigris patinations as well as alternative colours such as blue and red tones. For those seeking the bright copper aesthetic before oxidation takes place, Proteus offer TECU Classic, optionally available with a special coating to stop the natural weathering process. TECU Oxid offers a softer, aged beauty of natural earthy copper tones but which hasn’t yet reached the green Verdigris appearance. 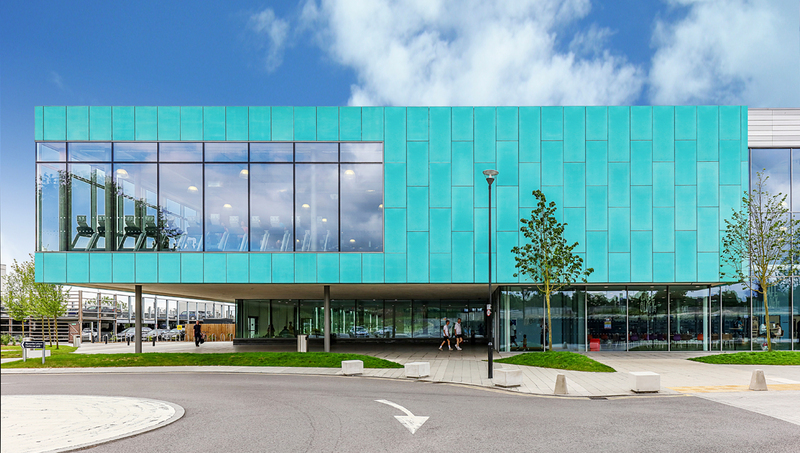 Wycombe Sports Centre has doubled its membership since it opened. The main contractor on this project was Wilmott Dixon. To read our blog about the options available with our copper cladding, click here.